To claim that Spain is Europe’s next craft beer hotspot is perhaps too bold a statement, but the world’s largest producer of wine is finally giving craft beer connoisseurs good reason to get excited. While Spain is also Europe’s 3rd largest beer producer following Germany and the UK, until recently that production offered little more than a clear, cold and uncomplicated drink. At best, it quenched your thirst on a hot summer’s day. In relatively rapid time however, inroads have been made across the country, with close to 300 brands controlled by over 100 microbreweries, according to the Asociación de Cerveceros de España (The Brewers of Spain Association). Over a third of those brands are found in Cataluña, Spain’s traditional gateway to new trends, yet microcervecerías, as they’re known, can be found in all 17 Spanish Autonomous Communities. Even the tiny autonomous Spanish city of Ceuta – in Morocco no less – boasts their own microbrewery. The success of craft beer in Spain and elsewhere can be attributed to many factors. The enormous scope of styles and flavors appeals to a wide range of palates; startup costs for home brewing – a helpful first step when starting a microbrewery – are relatively low, allowing more creative ideas to flourish, often complemented by inventive names and offbeat labels, all of which attracts a sector of the market looking for something different. Enjoying craft beer also offers fewer ‘barriers to entry’. Although there’s plenty to appreciate about a focused approach to beer tasting, unlike wine, social taboos towards an uncritical approach don’t intimidate newcomers. Perhaps that’s one more reason why wine consumption is falling among Europe’s youth, especially in traditional wine-producing countries such as Spain and even Italy, currently experiencing their own craft beer revolution. To say that Spanish brewing got off to an early start is an understatement. The country was recently recognized as home to Europe’s oldest beer, produced some 4,400 years ago in Soria. Yet this jump on the competition mattered little by the time the Romans arrived, and their promotion of viticulture would dominate drinking habits for centuries to come. Not until Flemish-born Charles I assumed the Spanish Crown in 1516 would beer receive any importance in Iberia. To ensure a steady supply of quality suds at court, Flemish brewers were put in charge, whose clear-cut recipe included wheat, malted barley, oats, clean water and hops. In fact, hops carried such symbolic importance at the time, that stonemasons incorporated reliefs of hop flowers into the construction of León’s Cathedral. However, beer as a drink of the masses wouldn’t gain momentum until the 2nd half of the 19th century, coinciding with the expansion of Spain’s railways. Prior to this, principal ingredients such as hops and malted barley often had to be shipped in, arriving in port cities like Santander and Barcelona, where many of the country’s first breweries were founded. In Madrid, the most famous of the early breweries was Santa Bárbara, which operated just outside the city gate after which the brewery was named. Although the brewery has disappeared, a modern-day remnant can be found in the cervecería Santa Bárbara, located in the plaza of the same. The industrial giant and omnipresent Mahou brewery was founded at the end of the century, gaining a stronghold over the capital whose effects are still felt today. Although Naturbier officially opened in Madrid’s Huertas neighborhood in 1986, it took three years of bureaucratic hurdles before Spain’s first microbrewery could actually serve their product. Through higher taxes and restrictive permissions, Spanish city laws make it extremely difficult for activities such as brewing to take place outside a polígono industrial, i.e. an industrial park. Setting aside industrial uses from urban areas to reduce the environmental impact makes sense with large industries, but is out of date in today’s world of craft brewing. These laws have snuffed out the attempts of all but a few brewers, determined to set up inside Spain’s city centers. In Madrid, when Naturbier finally could offer an alternative to Mahou in 1989, many of the neighborhood’s older residents weren’t initially convinced. As Spain’s first modern microbrewpub, more than a few questions arose. What did “natural beer” mean exactly? Are you really brewing in the backroom? Why was the beer so cloudy? Olaf Martí of La Cervesa Artesana told me a similar story surrounding the struggle to open Cataluña’s first microbrewpub in 1996. Based in the historic Gràcia neighborhood near Barcelona’s modernist-filled Passeig de Gràcia avenue, La Cervesa Artesana spent four years and roughly 50,000 Euros in permissions and taxes to be able to finally open its doors. Despite the heavy restrictions, both Schmid and Martí are encouraged by the number of recent arrivals to the craft beer scene. 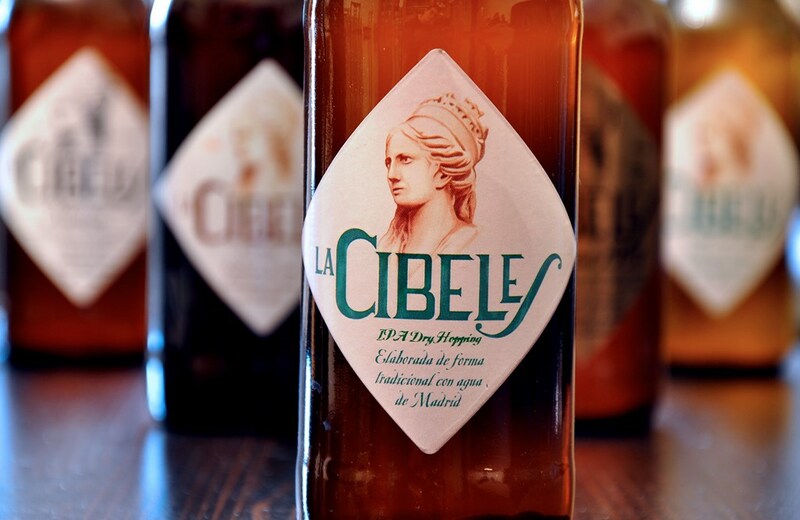 Here in Madrid, that includes brands such as Cibeles, Lest, and La Virgen, who all brew just outside city limits. For many however, it’s the energy surrounding one of Madrid’s newest breweries that captures the excitement of Spain’s entry into the craft beer scene. In November 2012, Fábrica Maravillas became just the second microcervecería to brew on site in Madrid city-center, setting up in the trendy Malasaña neighborhood. “It took over a year and a half of paperwork, permissions, taxes, etc. before we could finally open,” Estefanía Pintado told me, one of the founding partners. “It was worth it though.” Stop by Fábrica Maravillas on any given night and you’ll see why. The place is packed, and for good reason. As a local tour guide and devotee of Spanish food and drink, I was worried I had overhyped the place to four beer-loving British friends – including one home brewer – visiting Madrid one weekend. To my relief however, the all-ale selection at FM met with resounding approval, with the IPA receiving the most accolades. The playful name Fl(ipa) didn’t hurt either, coming from the Spanish verb flipar, as in to flip out. Now that Spain has decided to form part of the craft beer landscape, what is the key to increasing consumption? All of the microbreweries mentioned above agree that education is crucial. From on-site tastings and/or guided visits, to simply explaining the nuances of each beer to customers and how they differ from the mainstream. Like in Italy, Spain’s lack of historic brewing traditions can work in her favor, allowing a contemporary beer scene to be built from scratch without the weight of tradition. Much like a young writer finding inspiration in classic authors before cultivating their own style, Spain has begun by imitating some of the world’s classic beer styles. Styles that are easily recognized by a younger Spanish market who travels abroad more often, bringing back an increased awareness of food and drink that will spark an interest in local versions: the roasted chestnuts in Galicia’s Santo Cristo Beer, or Grenache grapes in Cataluña’s Garnatxa Beer are great examples. Spain can soon focus on transforming a growing trend into a mature market with educated consumers who no longer order a caña without asking what’s on tap. There’ll be improved menu sections for beer just as there are for wine. Waiters will be able to explain stylistic differences beyond blond or toasted. More specialty beer shops like Madrid’s Cervezorama in Malasaña and Más Que Cerveza in Huertas will spring up next to wine shops. 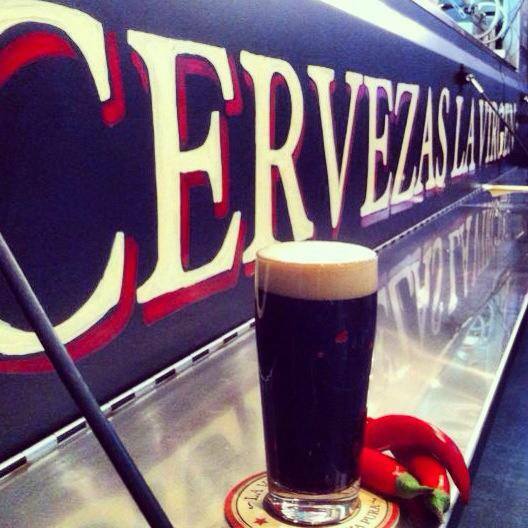 If you’re keen for a private tour of Spain’s incredible beer revolution, contact Catavino for more information! On your next visit to the Spanish capital, seek out the locations below for a taste of craft beers from Madrid and Spain, starting with Madrid’s only two craft microbrew pubs found in the city center. The rest are heavily concentrated in Madrid’s Malasaña neighborhood. Fábrica Maravillas – c/ Valverde, 29 (map). Five ales on tap, two of which rotate on a regular basis. Open Mon-Fri 6pm-12am. Sat, Sun and holidays 12:30pm-12am. +34 915 218 753. La Tape – Calle San Bernardo 88 (map). This Malasaña tapas bar prides itself on its selection of craft beers, both Spanish and international. It has seven rotating taps matched by a large selection of bottled craft beer. Open 9am-2am, daily. +34 915 930 422. Irreale – Calle Manuela Malasaña 20 (map). Not a three minute walk from La Tape, Irreale claims to be Madrid’s first pub dedicated exclusively to serving artisan beers. Nine rotating taps offering nine different styles. Bottled craft beer also on offer. Open Tue-Wed 12pm-12am, Thu-Sat 12pm-2am, Sun 6pm-11pm. +34 917 528 374. Animal – Calle Hartzenbusch 9 (map). A five minute walk from Irreale, Animal is run by Catalan chef Tibor Domenech, who also offers nine rotating taps matched by a range of dishes. Open Tue-Thu 7pm-12am, Fri 7pm-2:30am, Sat 1pm-4:30pm, 7pm-2:30am, Sun 1pm-4:30pm. +34 914 469 649. El Pedal – Calle Argumosa 33 (map). The final bar breaks away from the Malasaña monopoly, and is tucked away deep in Lavapiés, offering a more bohemian atmosphere representative of its neighborhood. As many as 100 craft beers on offer at any one time, including a few rotating taps. Open Tue-Sun 6pm-1am.